Social Capital was made possible by: Mondriaan Fonds, Amsterdams Fonds voor de Kunst, Van Eesteren-Fluck &Van Lohuizen Stichting en Prins Bernhard Cultuurfonds Noord-Holland. Thanks go out to: Ondernemershuis Craetegus, VORM and Hyperion Lyceum. 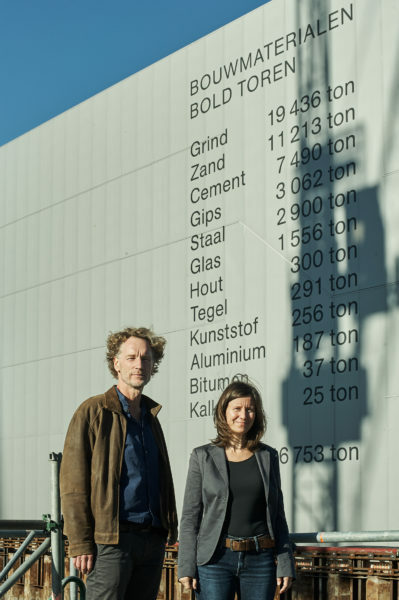 On 26 September 2018, Lara Almarcegui’s art installation BOLD TOWER BUILDING MATERIALS was unveiled. 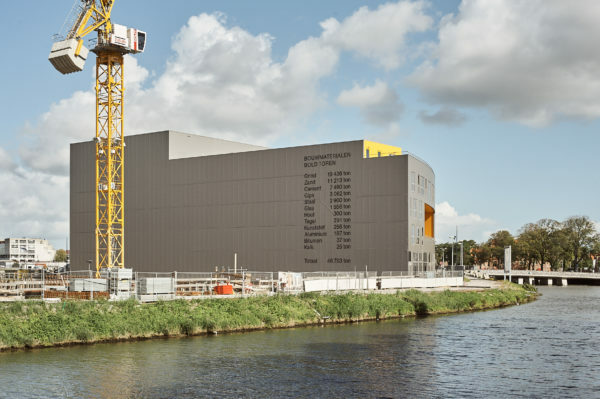 Almarcegui’s work used the façade of the new Hyperion Lyceum on Overhoeks aan 't IJ to show passers-by a simple list of materials: 19,436 tonnes of gravel, 11,213 tonnes of sand, 7,490 tonnes of cement, etc. These raw materials, ordered by weight, were the ingredients needed to construct the new BOLD Tower next to the Hyperion Lyceum. As each new floor of the 25-storey tower was completed, the installation was gradually hidden from view. Lara Almarcegui is a Spanish-born artist currently based in Rotterdam. Her work reflects her fascination with the relationship between the slow, ecological processes that, over millions of years, have shaped the world as we know it and the ways in which humanity shapes it environment. 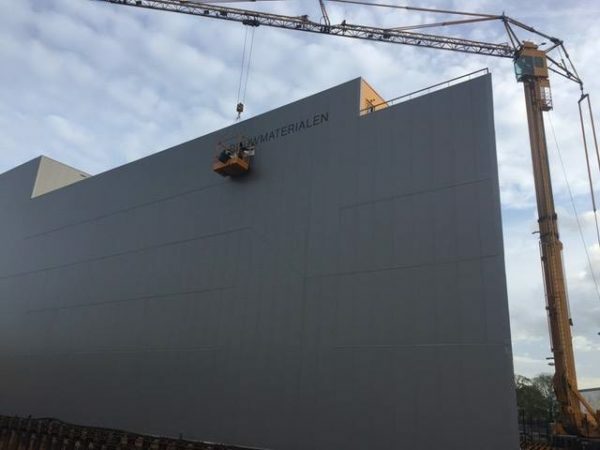 By pointing out the origin of raw materials, it aims to place the large-scale expansion of contemporary urban development in a different perspective. This art installation is part of Social Capital, a multi-year art programme in which TAAK invites artists to respond to urban change. The event Social Capital #1 was held between 26 and 30 September in Amsterdam-Noord as part of the Pay Attention Please! manifestation.